Noida-based HCL Technologies had posted a net profit of Rs 2,070 crore in the year-ago period, it said in a statement. 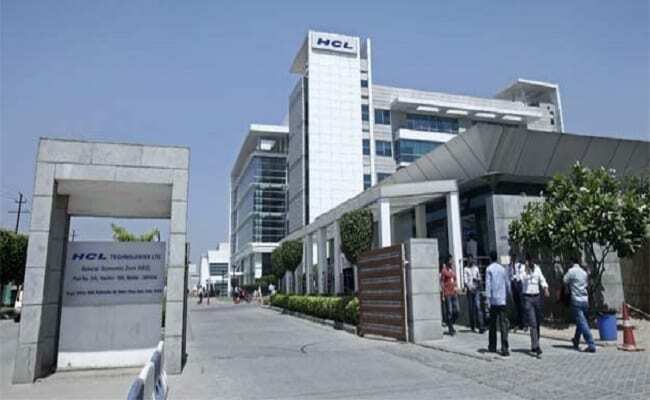 New Delhi: HCL Technologies, the country's fourth largest IT firm, on Friday posted a 6 per cent growth in consolidated net profit at Rs 2,194 crore for the quarter ending December compared to the same period of previous year. Noida-based HCL Technologies had posted a net profit of Rs 2,070 crore in the year-ago period, it said in a statement. For the reported quarter, HCL Tech's revenues grew 8.4 per cent to Rs 12,808 crore, from Rs 11,814 crore in the year-ago period, as per US GAAP accounting norms, it added. "We finished last quarter on a strong note, with a growth of 3.3 per cent sequentially and 11.2 per cent year-on-year in constant currency terms," HCL Technologies president and CEO C Vijayakumar said. This was a strong quarter in terms of deal signings where HCL signed 20 transformational deals across services, he added. In dollar terms, the company's net profit grew 11.2 per cent to $340.3 million, while revenues rose 13.9 per cent to $1.98 billion compared to the year-ago period. HCL Technologies has announced a dividend of Rs 2 per share. During the quarter, HCL Technologies added 251 people, taking total headcount to 1,19,291 people. Attrition in IT services (last 12 months basis) stood at 15.2 per cent. Revenues from Americas grew at 16.6 per cent in the quarter from the year-ago period, while that from Europe and Rest of World was higher by 2.5 per cent in constant currency terms. Financial services witnessed a 10.6 per cent growth on a yearly basis, manufacturing 21 per cent, life sciences and healthcare 9.7 per cent, and retail and CPG at 13.1 per cent. Public services vertical grew marginally, while revenues from telecommunications, media, publishing and entertainment declined by 6.8 per cent. HCL Tech shares were trading marginally down by 0.13 per cent at Rs 953.65 on the BSE in early trade. The scrip opened higher at Rs 962 but declined later due to profit booking by investors.